Goethe's Mailied, set by Beethoven (op 52/4). "How gloriously Nature shines for me ! How the sun shines, how the meadow smiles ! Blossoms burst from every branch and a thousand voices sing from every shrub ! Joy and delight in every breast, O Earth ! O Sun ! O Happniess ! O Hope ! O Life ! O Love ! How beautifully golden seem the morning clouds above the hilltops. Gloriously blessed are the fertile fields. The whole world is haloed by blossom. O maiden, maiden, how I love you, how your eyes shine, because you love me . The lark loves song and flight, the flowers of morning the scents of Heaven. , How I love you. You make my blood warm with the vigour of youth, and happiness and courage. On to new songs and dances I go. Be forever glad as you love me ! " And that's the kick. The poem is All About Him. Nature exists to make him feel good (and horny). And may the beloved be lucky as long as she loves him, too. Lili'oukalani, (1838-1917) not "forgotten" the last Queen of independent Hawaii, not "forgotten" at all, for she was and remains a symbol of Hawaiian identity, an issue still alive today. Lili'oukalani was well educated, accomplished and well travelled, who believed in enlightened "Victorian values" of serving her people. "From time immemorial",she wrote "the Hawaiian people have always been lovers of poetry and song". "To compose was as natural for me as to breathe". Although Hawaii had an elected government and its monarchs were popular, the sugar and pineapple barons from the United States wanted control. Capitalism prevailed. Hawaii was annexed. Lili'oukalani did not want violence, but was arrested and sentenced to death. She was reprieved but served five years in prison In prison,she continued to write. "Music", she wrote in her memoirs "remains the source of the greatest consolation". She never gave in, challenging the annexation through the courts until her death, one hundred years ago. Though she couldn't defeat colonialism, her defiant spirit lives on in her legacy of music and intelligence. Lili'oukalani's song Aloha Oe, written in 1873, is so famous that everyone knows it, even if they know nothing else about Hawaii. With its ukulele accompaniment and swaying rhythms it fits tourist stereotypes though it reflects traditional Hawaiian music. The song was written in 1878, when her brothers were Kings, and after her marriage.Aloha Oe is so famous that it's ubiquitous, but she wrote a lot more. Her songs are published and performed in Hawaiian circles. Yet she shouldn't be seen merely as a niche composer. Her music shows the influence of 19th century art music,with which she was familiar, for she lived briefly in Europe and clearly had access to scores and the music of her time. The clip I've added below was made in 1904, so the "western" song aspects are probably affected by the taste of the time,ie."missionary"song.. There is a MUCH better version on YT with Israel Kamakawiwoʻole. Lili'oukalani was a fascinating personality,worth reading about. There's also a good documentary, if you search on YT. Please also see my take on the 1937 movie The Hurricane, which deals with oppression and first nation freedoms. Once, ENO new season announcements were exciting. If only that could be said of the 2017-2018 season. Perhaps this was inevitable given the unprecedented funding cuts. The ENO still has the potential to be the creative powerhouse it once was, but not, I suspect, under the new system. Whether Cressida Pollock's management genius has turned the company around, or in a different direction, still isn't clear. It's been a while since the Arts Council England's "special measures" - still largely unspecified - have been in place, so it would be interesting to know how far these have been addressed. Four new productions, the most promising being Verdi Aida, which launches the new season and could well be the hit of the year. It's directed by Phelim McDermott, on whom we can depend for good theatre. His Philip Glass Satyagraha, with Improbable, premiered in 2007, was so inventive that it's being revived yet again in February 2018. Glass's unusual idiom defies the notion that avant garde doesn't sell. It does when it's done well. 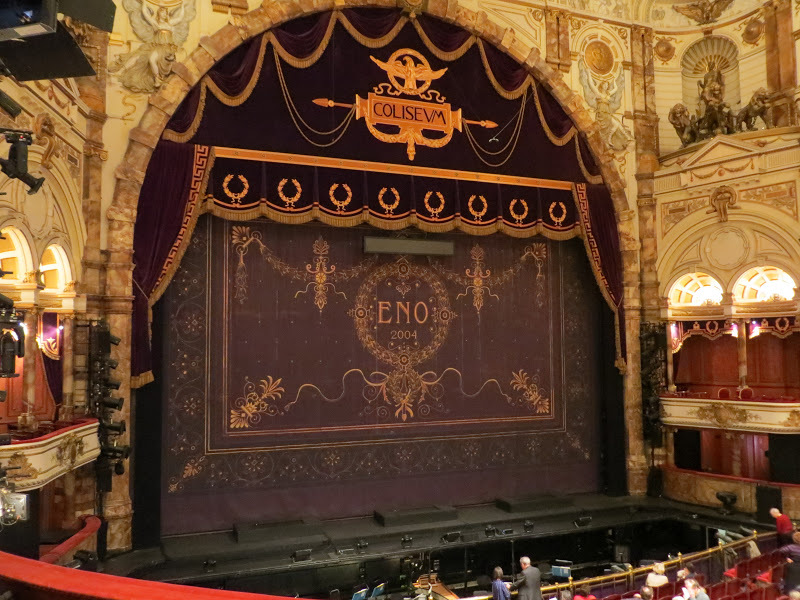 Indeed, Glass operas have contributed greatly to the ENO's creative reputation. Last year McDermott's Glass Akhnaten was a success. Aida, with its potential,for grand theatrical special effects, should be well suited to McDermott's style. The cast will include Latonia Moore, Michelle DeYoung, Morenike Fadayomi, Gwyn Hughes Jones, Brindley Sherratt , Matthew Best and Musa Ngqungwana. Keri-Lynn Wilson conducts. ENO loyalists should be out in force to show support for the comapny's traditioins. Following on the success of Mike Leigh's The Pirates of Penzance, Gilbert and Sullivan's Iolanthe, directed by Cal McCrystal, whose background is in theatre. Then Daniel Kramer's production of La Traviata with Claudia Boyle. Revivals of audience favourites include Jonathan Miller's The Barber of Seville, Richard Jones's Rodelinda, Phelim McDermott's Satyagraha, Robert Carsen's A Midsummer Night's Dream and Fiona Shaw's The Marriage of Figaro which will also be conducted by Martyn Brabbins. 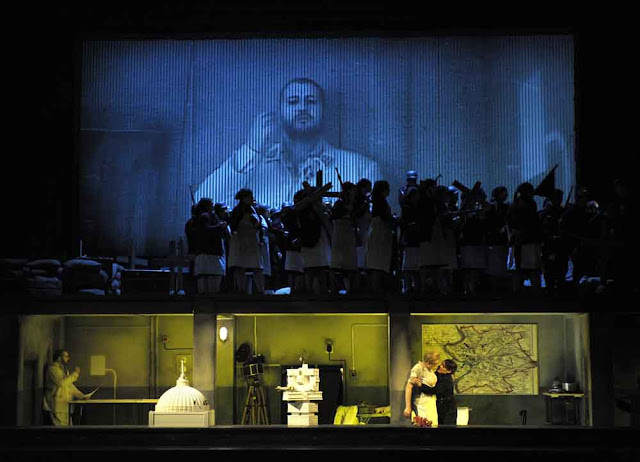 Thomas Adès The Exterminating Angel at the Royal Opera House, London, reviewed in depth by Claire Seymour in Opera Today : The most detailed review so far ! What's really going on behind the scenes at BBC Radio 3 and at the Proms? Before cheering the end of TV-themed Proms like DrWho, Cbeebies etc etc, let's look analytically behind the maudlin platitudes. So Alan Davey, head of BBC R3, has finally twigged that "new" audiences aren't necessarily Proms audiences? What a revelation! The "theory: that you get people into the Albert Hall and they see what it’s like and that it’s actually quite nice, and they come back for something else.” is mumbo jumbo mantra, mindlessly repeated to numb dumb minds. Since people go to the Royal Albert Hall all year round, for all kinds of events, why should they be afraid of the building? That's supposition without substance. It's not houses that scare the punters but perceptions based on falsehood, like "elitism" which the nonsense mantra stupidly reinforces. The success of Proms in the Park should be evidence that people can have a good time with classical music, of a sort, whatever the situation, without downgrading core product? Given that classical music can be accessed in more ways now than ever before, why should physical attendance be a prerequisite? Didn't someone at the BBC realize that they broadcast worldwide and online, or don't they tell each other ? That is the "new" audience for classical music, potentially greater than ever before. But policymakers are trapped in the Stone Age of "bums on seats". The government, and Arts Council England, are straitjacketed into geographical, small-scale thinking that bears little relation to reality. All over Europe, orchestras, opera houses and concert promoters are wise to the fact that technology reaches bigger potential audiences. And audiences who have more choice are more sophisticated, less easily fooled by gimmick marketing. The way ahead is not dumb down but smart-up. That's why top-quality new concert halls have been opened in centres of excellence like Paris and Berlin: the Philharmonie de Paris, the Pierre Boulez Saal in Berlin, and La Seine Musicale. Even Hamburg, a little off the beaten track, has raised its game with the Elbphilharmonie. Some may gloat that we don't need a world-class concert hall in the UK. But culture is global industry: being Luddite is Little Britain blindness. And why pick on the Dr Who and CBeebies Proms, which were so successful they sold out fast, providing income for other things? Those were fun and surprisingly high quality, like the Science Prom a few years back. Nothing wrong with a populist tag, as long as the music is well chosen and well performed. And that's where the new announcement shows its flaws. Does someone, somewhere, like trash as long as it doesn't promote the BBC? There arre plenty of non-BBC brand gimmicks this season. A lot of Proms , even those with mainstream classical music, seem aimed at audiences who don't care much about music, and are easily fobbed off by big names and safe repertoire. John Wilson, light music, film music, are all OK in small doses, but not elevated to canonic status. How will the "sensory" Prom work for people with disabilities when the Royal Albert Hall itself is not at all disability-friendly. A significant part of the core audience, many of whom have who have dedicated a lifetime to the Proms, are now excluded because basic facilities are so inadequate. Even the website's annoying. They've even killed the composer search section in the Proms archive ! The over-riding philosophy seems to be that whoever is making policy has neither faith in the core product, serious music, nor faith in the ability of audiences to discern the difference between trash and treasure. This is absolutely not what Sir Henry Wood stood for. But the new Regime blithely uses his name for self-promotion and flogs the anodyne Ten Pieces mentality instead. Ten Pieces was a joke once: now it's too moronic to bear. It's a symptom of the lemming-like rush towards mindless stupidity. The real problem lies not with the Proms and the BBC but a whole cultural dumbing down, enshrined in Government policy towards the arts and towards the BBC. I've written about this many times over the years (follow the labels below on arts policy, BBC policy, music education, etc etc). The Elephant in the Room ? Political agendas, not economic reality. The arts are a big part of this country's economic success and international status. The arts aren't cheap because excellence is always hard to attain. But everyone benefits when a nation has a thriving arts culture. The BBC and the arts do more for British prestige and foreign policy than goonish sabre rattlers and the cultivation of dubious allies. Mess up the arts and mess up big time. Witness the demise of the ENO and the denigration of London as a whole. So what is really going on? We live in an age of Trojan Horse Policies, everywhere and in many fields. People are manipulated into "taking back control" while handing over control to vested interests whose concerns have little to do with good governance or even public benefit. We need to face the fact that many would be delighted to see the BBC scrapped because it competes with private interests. But if private interests are so great, why are they so afraid of competition? The idea that culture is part of civilization prevails: the Royal Albert Hall stands as a monument to an enlightened age where policymakers had faith in the ability of ordinary people to progress through knowledge. Unfortunately, market forces operate for the benefit of whoever profits by fair means or foul. Market forces can be manipulated, against the wider interests of the community. Some ideals that we cherish, like public health, education, the arts and the environment, need communal involvement. When market forces become mantra, the minority profit at the expense of the majority. Market forces are a political construct, and not necessarily good for the wider economy. François-Xavier Roth conducted the London Symphony Orchestra at the Barbican in:Debussy, Bartók, and Bruckner. Roth has a flair for designing thought-provoking programmes that stimulate the mind as well as the spirit. He's also a good communicator whose enthusiasm inspires listeners as well as musicians - no surprise he's now the LSO's Chief Guest Conductor. All music is "new" in that good music is original. Hence the value of making connections that enhance the unique qualities of each work. Debussy Prélude à l'après-midi d'un faune was a breakthrough. Though we hear it so often, it's bracing to remember that it was written 123 years ago. It defies categories. Its exoticism stretches tonality, its chromatics at once rich, yet clean and modern. Think of fin de siècle art with its curving forms, against chaste backdrops. The Prélude lends itself to dance because it is sensuous, yet also lucidly disciplined. You don't mess with dance or it falls apart. No chance of that with the LSO and Roth. From the familiar to the much less familiar: Bartók Viola Concerto sz 120 with soloist Antoine Tamestit. A bit of an orphan work, revised and completed, perhaps to fit conventional taste. 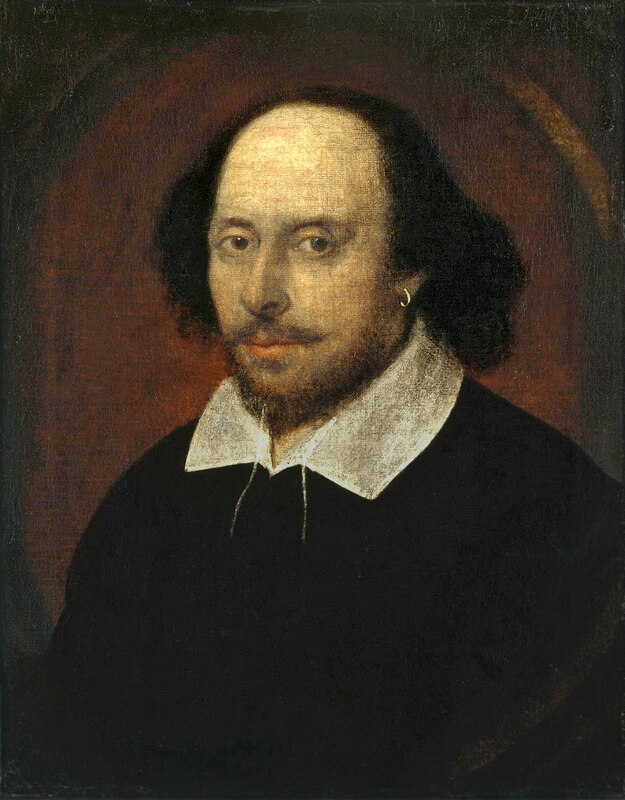 But the point is not whether one likes or dislikes a piece so much as figuring out how it works. Oddly enough, I kept thinking of Gérard Grisey Les espaces acoustiques. Though the pieces are completely different, they both explore the character of the viola. Hence the combinations: viola, then flutes and oboes, the viola suddenly strident, communing with trumpets, then horns. There are elements of dance, Gypsy czardas, Scottish reels and even, possibly jazz. Perhaps I thought of Grisey because Roth and the LSO prefaced Bartók with Debussy, priming me to think in terms of microtonal colour. "spectralism" to use the buzz word. By this stage in his life, Bartók wasn't in a position to innovate, but we can get a glimpse of what might have been. And so to Bruckner Symphony no 4. As so often the title "Romantic" is misleading. It's not romantic in the sense of Hollywood and not even in the sense of Wagner. Note the instrumentation, which is relatively limited. Consider the use of horns and rustic imagery. Aha! Bruckner's doing Weber Der Freischütz, or even Beethoven's Pastoral, even Smetana, in entirely his own way, of course. Thus the passionate tremelos and the sense of physical movement. Bruckner, dancing! The relatively restrained forces of the LSO keep the textures vigorous and lively. Very well suited to Roth's energetic style. Formula saves the BBC Proms ! Formula saves the BBC Proms 2017! This may be the beginning of the end for Sir Henry Wood's dreams of the Proms as serious music. Fortunately The Formula, perfected by much-maligned Roger Wright, is strong enough to withstand the anti-music agendas of the suits and robots who now run the Proms. Shame on those who rely on formula instead of talent, but in dire straits, autopilot can save things from falling apart. So, sift through the detritus of gimmick and gameshow to find things worth saving (Read here what I wrote about The Formula) In the long term this strategy will bring new audiences sold on strategy, not the quality of the product. Not at all the same thing. On 1/8, William Christie conducts the OAE in Handel Israel in Egypt and on 2/8, John Eliot Gardiner, the Monteverdi Choir and the English Baroque Soloists do Bach and my beloved Heinrich Schütz. On 8/8 Gardiner returns with Berlioz The Damnation of Faust, with Michael Spyres. First of this year's four Mahlers is Mahler's Tenth (Cooke) with Thomas Dausgaard and the BBC Scottish Symphony Orchestra (12/8). Robin Ticciati, back with the Scottish Chamber Orchestra on 15/8 with an interesting pairing, Thomas Larcher Nocturne-Insomnia with Schumann Symphony no 2. Throughout this season, there are odd mismatches between repertoire and performers, good conductors doing routine material, less good conductors doing safe and indestructible. Fortunately, baroque and specialist music seem immune. See above and also the Prom featuring Lalo, Délibes and Saint-Saëns with François-Xavier Roth and Les Siècles on 16/8 Perhaps these Proms attract audiences who care what they're listening to. Schoenberg's Gurrelieder on 19/8 with Simon Rattle, whose recording many years back remains a classic but may not be known to whoever described the piece in the programme "Gurrelieder is Schoenberg’s Tristan and Isolde, an opulent, late-Romantic giant." Possibly the same folk who dreamed up the tag "Reformation Day" like Nigel Farage's "Independence Day" Nothing in life is that simplistic The music's OK, but not the marketing. Sakari Oramo conducts the BBC SO in Elgar Symphony no 3 (Anthony Payne) on 22/8 Potentially this will be even bigger than the Barenboim Elgar symphonies, since Oramo is particularly good with this symphony, which may not be as high profile but is certainly highly regarded by those who love Elgar. On 26/8, Jakub Hrůša conducts the BBC SO in an extremely well chosen programme of Suk, Smetana, Martinů, Janáček and Dvorák. More BBC SO on 31/8 when Semyon Bychkov conducts a Russian programme Marketing guff seems to make a big deal of national stereotypes, which is short-sighted These programmes cohere musically, but that's perhaps too much to expect from the new Proms mindset. On 1/9, Daniele Gatti conducts the Royal Concertgebouw Orchestra in Bruckner and Wolfgang Rihm. An odd pairing but one which will come off well since these musicians know what they're doing They are back again on 2/9 with Haydn "The Bear" and Mahler Fourth which isn't "sunny" or "song-filled". It's Mahler, not a musical. Gergiev brings the Mariinsky on 3/9 with Prokofiev, Tchaikovsky and Shostakovich Symphony no 5. Another huge highlight on 7/9 : the Wiener Philharmoniker, with Daniel Harding in Mahler Symphony no 6 - so powerful that nothing else needs to be added to sugar the pill. For me, and for many others, that will be the real Last Night of the Proms Party time the next day, with Nina Stemme as star guest. The 2017 BBC Proms Season, just announced, is a travesty, far adrift from the founding principles of the Proms, and indeed of the BBC itself. Once the BBC stood for excellence, with its guiding principles to "educate, entertain and inform", the logic being that the public can tell good quality from bad, and value learning and self-development. Now we have a Proms season whose priorities are not musical so much as an ad for a BBC that is itself dumbed down beyond recognition. Will the ghost of Sir Henry Wood rise, like the Commendatore, to smite those who have despoiled his legacy? The First Night is only 70 minutes or so, so it won't tax the attention span. True, Igor Levit will play Beethoven, and Edward Gardner will conduct John Adams Harmonium, a big, if limited, blast. so it won't be bad. But once we could expect more. Daniel Barenboim brings the Staatskapelle Berlin to "launch this year’s cycle of Elgar symphonies". Direct quote from the BBC Proms website. What Elgar symphonic cycle? One on Saturday, the other on Sunday. The Third, realized by Anthony Payne, is probably too outré for the new Proms market. It's been pushed to the doldrums of late August. 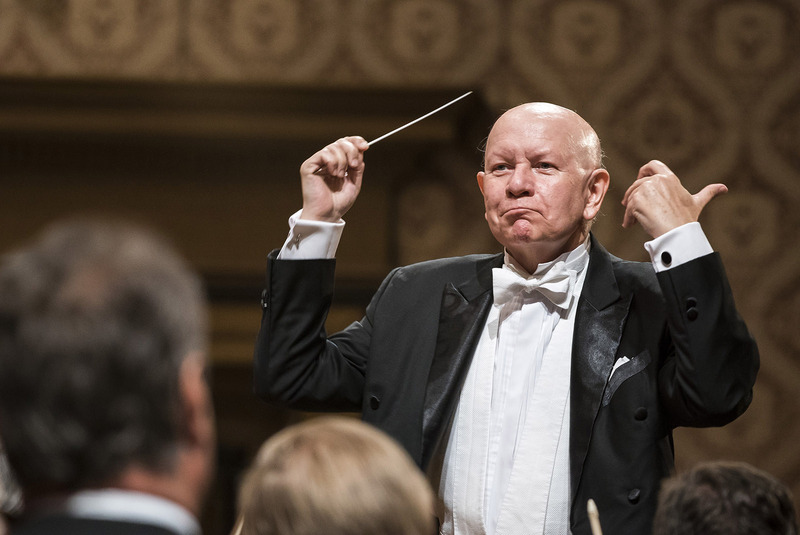 Thankfully, Sakari Oramo conducts: he does it well. What kind of audience is this year's Proms aimed at? Read the summary here. Sure, it's good to have pop, light music etc. but not at the expense of serious music. One of the basic principles of marketing is to believe in what you're trying to sell. Raise the bar, aim for excellence, and grow the market .Pitch below the lowest possible denominator, and kill whatever audience you already have while lowering standards and decreasing expectations. If the primary product is music, then sell music,. All the gimmicky sales patter in the world won't make up for non-product. If people really believe Scott Walker is a "Godlike genius", good for them, but don't downgrade Beethoven. Why sacrifice an existing market to try selling to another which might have completely different priorities? Or perhaps that is the hidden agenda. The Far Right, the commercial sector, and vested interests have everything to gain from dumbing the BBC down. Sir Henry Wood believed that people were able, and willing to learn. Now, we live in an era where any kind of expertise is sneered at. Getting ahead means dismantling the edifices of advancement. There's a whole lot more at stake than just the Proms and the BBC. Fortunately, some of the principles of Proms planning remain, since they follow rules so simple anyone can master them. Add a few big names - Haitink, Christie, Rattle, Salonen, Bychkov, Gardiner - and the punters will pay. Bring in the BBC orchestras, most of which are good enough to do serious music and do it well enough without scaring the unwary. Mark non-musical anniversaries like "Reformation Day" a term Martin Luther would have baulked at, then throw in music that has little to do with one of the revolutions in European history. Hire famous foreign bands like the Royal Concertgebouw Orchestra Amsterdam, whom everyone loves, and a few cheaper ones. Throw in a few blockbusters like Schoenberg Gurrelieder. (Rattle 19/8) .and Handel Israel in Egypt on 1/8 (William Christie and the Orchestra of the Age of Enlightenment), Bring along an opera (usually Fidelio which needs little staging) and import a ready-made from Glyndebourne and bingo! The formula works, like a well-oiled machine, running with minimal human intervention. Thus, for those who actually like music there are other good things to seek out. Hidden under the banner "Take a musical thrill-ride from the chaos of creation" on 19/7 is Pascal Dusapin's new Outscape. Look out too for Thomas Larcher's Nocturne-Insomnia on 15/8 New British works - David Sawer's The Greatest Happiness Principle on 29/7, and Mark-Anthony Turnage Hibiki on 14/8. Excellent younger conductors like François-Xavier Roth and Les Siècles (16/8), Mirga Gražinytė-Tyla (21/8), and Jakub Hrůša (26/8 - good programme). Formula is all very well, and formula has saved the season Read my picks HERE. But eventually it will not be enough to rely on mechanical formula. It's all very well to meet political targets but long term, it is music that matters, not flashy marketing. At the Wigmore Hall, Brian Elias's Oboe Quintet coincided with the release of a new recording of Elias's work from NMC Records, specialists in modern British music. The title piece, Electra Mourns, won Elias a British Composer Award. It received its premiere in 2012, with the Britten Sinfonia, conducted by Clark Rundell, with soloists Susan Bickley and Nicholas Daniel for whom the piece was created. . Electra mourns is a dramatic scena, with the stylized formality of Greek tragedy. Electra is alone, without hope, in hostile circumstances. Bickley sings the long, keening lines expressing Electra's desolation. But Orestes is not actually dead. Daniel's cor anglais surrounds the vocal part, mimicking its curving lines. Voice and instrument in duet are heard against a backdrop of strings, punctuated by piano. Functioning like Greek chorus, the orchestra comments, wordlessly, sharp angular outbursts suggesting alarm. High textures sear, like flailing whips. Yet the cor anglais continues, unperturbed, its sensuous richness evoking elusive mysteries. When the strings go still, its chords grow strong and clear. Electra listens. Bickley's voice intones at the bottom of her range, then soars. Electra Mourns is enhanced by Geranos, from 1985, here performed by Psappha, conducted by Nicholas Kok, who first performed it in 2003. Both pieces take their cue from Greek legend but take on different form. Geranos is tightly constructed and taut, evoking the idea of dance as athletic discipline. The slow middle movement refers to a ritual dance of mourning. The puzzles and mazes of Harrison Birtwistle naturally spring to mind, but Elias's style is his own. Sparkling textures (piccolo, strings, metallic percussion) illuminate the third and final movement. Theseus was said to have danced on escaping the Labyrinth. Geranos ends with lucid, clear tones. A "geranos" is a crane, flying free. While the texts for Meet Me in the Green Glen are by John Clare (1793-1864), Elias's setting is minimal, almost "Grecian". Roderick Williams and Susan Bickley sing without accompaniment, their plaintive lines evoking timeless plainchant rather than quasi-folk song. The unadorned beauty of the singing is enhanced by a slight echo effect, as if the recording was made in a silent chamber. Perhaps the "Green Glen" is a tomb-like time warp. The poems refer to the past, to "Now" and"Hesperus, thy twinkling bray" that "tolls the traveller on his way that Earth shall be forgiven". A fascinating mix of quiet and disquiet, utterly modern in spirit. . The five songs of Meet Me in the Green Glen (2009) are followed by the five songs of Once I did breathe another's breath for low voice and piano, premiered by Roderick Williams and Iain Burnside at the Ludlow English Song Weekend in 2012. The texts are more disparate, and the cycle less coherent. Ludlow began as a tribute to Gerald Finzi whose affinity for Tudor and Stuart poetry few can match. Roderick Williams, nonetheless, is superlative, with such a gift for communication that anything he sings is well worth listening to. 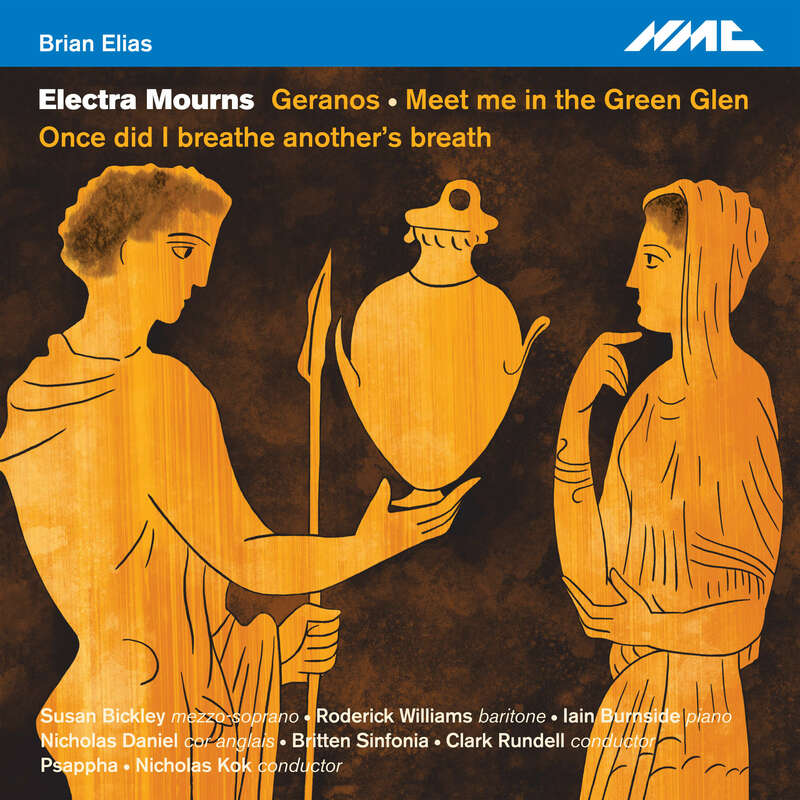 Electra Mourns is the third of NMC's Brian Elias recordings, and a good addition to the catalogue of British music. Jonas Kaufmann Mahler Das Lied von der Erde is utterly unique but also works surprisingly well as a musical experience. This won't appeal to superficial listeners, but will reward those who take Mahler seriously enough to value the challenge of new perspectives. A single voice in a song symphony created for two voices? Not many artists have the vocal range and heft to sustain 45 minutes at this intensity but Kaufmann achieves a feat that would defy many others. Das Lied von der Erde for one soloist is a remarkable experiment that's probably a one-off, but that alone is reason enough to pay proper attention. The dichotomy between male and female runs like a powerful undercurrent through most of Mahler's work. It's symbolic. The "Ewig-wiebliche", the Eternal feminine, represents abstract concepts like creativity, redemption and transcendance, fundamentals of Mahler's artistic metaphysics. Ignore it at the risk of denaturing Mahler! But there can be other ways of creating duality, not tied to gender. Witness the tenor/baritone versions, contrasting singers of the calibre of Schreier and Fischer-Dieskau. For Das Lied von der Erde, Mahler specified tenor and mezzo/alto, the female voice supplying richness and depth in contrast to the anguish of the tenor, terrified of impending death. This is significant, since most of Mahler's song cycles and songs for male voices are written for medium to low voices, and favour baritones. Tenors generally get short-changed, so this is an opportunity to hear how tenors can make the most of Mahler. .
Kaufmann is a Siegmund, not a Siegfried: his timbre has baritonal colourings not all can quite match. Transposing the mezzo songs causes him no great strain. His Abschied is finely balanced and expressive, good enough to be heard alone, on its own terms. What this single voice Das Lied sacrifices in dynamic contrast, it compensates by presenting Das Lied von der Erde as a seamless internal monologue. Though Mahler uses two voices, the protagonist is an individual undergoing transformation: Mahler himself, or the listener, always learning more, through each symphony. Thus the idea of a single-voice Das Lied is perfectly valid, emotionally more realistic than tenor/baritone. All-male versions work when both singers are very good, but a single-voice version requires exceptional ability. Quite probably, Kaufmann is the only tenor who could carry off a single-voice Das Lied. With his background, Kaufmann knows how to create personality without being theatrical, an important distinction, since Das Lied von der Erde is not opera, with defined "roles", but a more personal expression of the human condition. This Das Trinklied vom Jammer der Erde is unusually intense, since the person involved emphatically does not want to die. The horns call, the orchestra soars, but Kaufmann's defiance rings with a ferocity most tenors might not dare risk. Wunderlich couldn't test this song to the limits the way Kaufmann does. Schreier, on the other hand, infused it with similar courage, outshining the mezzo and orchestra in his recording with Kurt Sanderling. This heroic, outraged defiance is of the essence, for the protagonist is facing nothing less than annihilation. Twenty years ago, when Kaufmann sang Das Lied with Alice Coote in Edinburgh, I hated the way he did this song, as if it was a drinking song. Now Kaufmann has its true measure, spitting out the words fearlessly, taking risks without compromise. No trace whatsoever of Mario Lanza! This reveals a side of Kaufmann which the marketing men pushing commercial product like the Puccini compilation will not understand, but enhances my respect for Kaufmann's integrity as a true artist. After the outburst of Das Trinklied, Der Einsame im Herbst is reflective, with Kaufmann's characteristic "smoky" timbre evoking a sense of autumnal melancholy. This is usually a mezzo song, so at a few points the highest notes aren't as pure as they might be, though that adds to the sense of vulnerability which makes this song so moving. 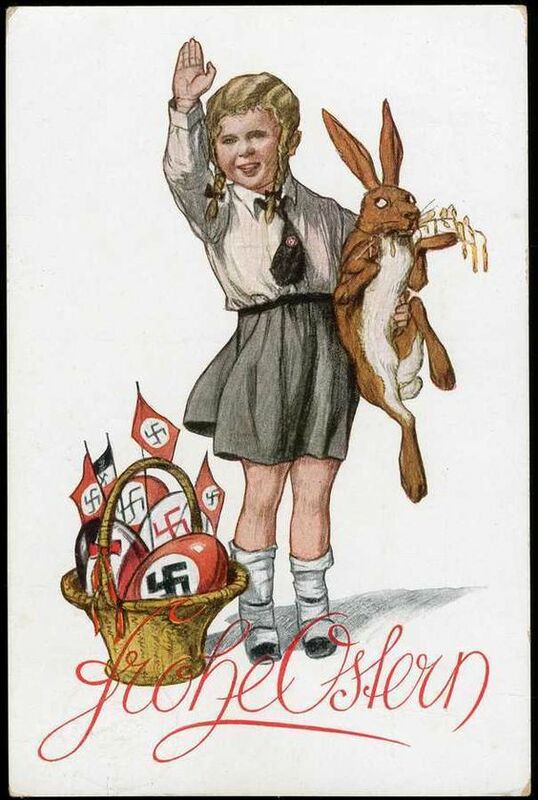 Von der Jugend is a tenor song, though no surprises there. If Kaufmann's voice isn't as beautiful as it often is, he uses it intelligently. The arch of the bridge mirrored in the water is an image of reversal. Nothing remains as it was. In Von der Schönheit Mahler undercuts the image of maidens with energetic, fast-flowing figures in the orchestra. This song isn't "feminine". The protagonist is no longer one of the young bucks with prancing horses. He has other, more pressing things on his mind. Der Trunkene im Frühling usually marks the exit of the tenor, recapitulating Das Trinklied vom Jammer der Erde. Though there are tender moments, such as the bird song and its melody, the mood is still not resigned. Kaufmann throws lines forcefully : "Der Lenz ist da! ", "Am schrwarzen Firmament!" and, defiant to the end with "Laßt mich betrunken sein!" Jonathan Nott conducts the Wiener Philharmoniker. creating an atmospheric Abschied with muffled tam tam, woodwinds, strings, harps, celeste and mandolin. Excellent playing, as you'd expect from this orchestra. Just as the first five songs form a mini-cycle, the Abschied itself unfolds in several stages, each transition marked by an orchestral interlude. The dichotomy now is not merely between voice types but between voice and orchestra: altogether more abstract and elevated. This final song is the real test of this Das Lied and Kaufmann carries it off very well. Now the tone grows ever firmer and more confident. There are mini-transitions even within single lines of text, such as the beautifully articulated "Er sprach....., seine Stimme war umflort...... Du, mein Freund". At last, resolution is reached. The ending is transcendant, textures sublimated and luminous. The protagonist has reached a new plane of consciousness not of this world. Kaufmann's voice takes on richness and serenity. He breathes into the words "Ewig....ewig" so the sound seems almost to glow. Utterly convincing. This isn't the prettiest Das Lied von der Erde on the market, but it wouldn't be proper Mahler if it were. It is much more important that it is psychologically coherent and musically valid. Too often, interesting performances are dismissed out of hand because they are different, but Kaufmann's Das Lied von der Erde definitely repays thoughtful listening. Ostersonntag Hanns Eisler's setting of Bertolt Brecht's poem Frühling 1938, from Eisler's Hollywood Liederbuch. 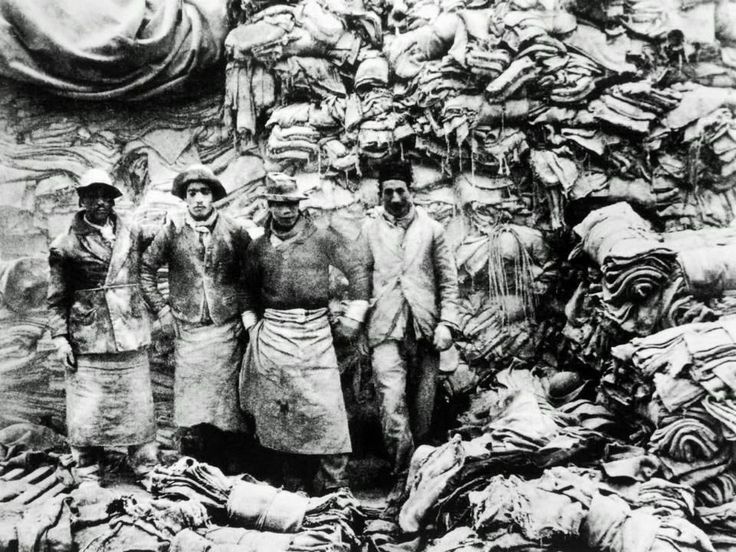 Brecht opposed capitalist oppression but his heirs enforce copyright to extreme lengths. Fortunately, Eisler believed in the dissemination of Brecht's ideas, and in solidarity with the People. Eisler's song begins almost hesitantly, as if the feelings expressed are too painful to confront. The piano plays dotted rhythms, pulsating tension and suppressed anxiety. 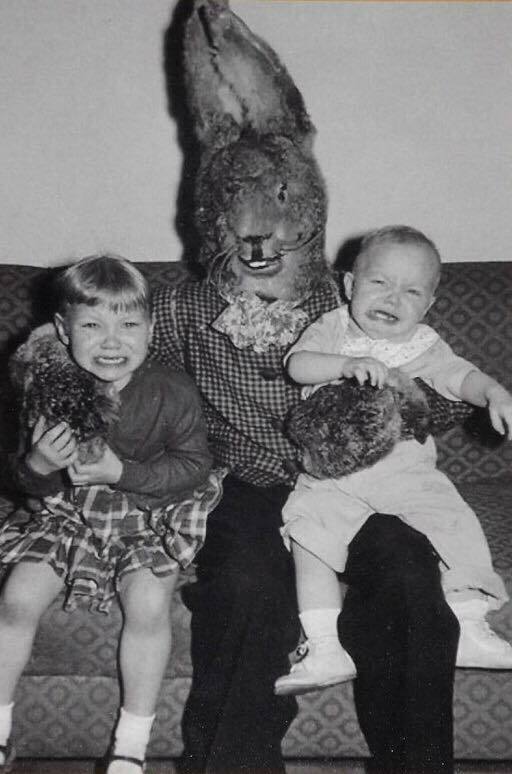 "Today", the singer intones, "it's Easter Sunday." But a chill wind blows a sudden snowstorm, across the sea, covering the green shoots of Spring under a blanket of snow. An apricot tree stands in the garden, protected by the warm walls of the house. Will its buds be killed by frost? The poet's son begs him to protect the tree . The words "younger son" are warmly shaped, in contrast to the frigid tension that's gone before. The pace becomes more urgent. The father had been writing a diatribe against the warmongers whose machinations threaten the whole continent, the island of calm, the people there and "my family", words again set with gentle warmth. Eisler elides the last phrase, with a dramatic descending curve, ending with the words "vertilgen muss" half-spoken, half-sung, but sinister. The edgy chords become stronger and more defiant. Minor key, but major impact. Silently, father and son place hessian over the freezing buds. Will the tree survive, will it bear fruit? The song ends inconclusively, the last figures on the piano repeating, hovering, unresolved. The song lasts barely 90 seconds, yet encompasses vast stretches of time, place and feeling. Like Brecht, Eisler was in exile, physically comfortable but vulnerable. Poet and composer both in emotional "islands", trying to stave off the chill of what they knew was happening back home. Eisler's Hollywood Liederbuch is an amazingly varied document of alienation and protest, the "Winterreise of the Twentieth Century", as Matthias Goerne, its finest interpreter, has called it. Read more about Goerne and Eisler's Hollywood Liederbuch HERE, and about Eisler's Deutsche Sinfonie HERE. Lots more on this site about Eisler, Brecht, Goerne, war and anti-facism. The photo below is ironic, too. In the early 20th century cars were a symbol of progress and faith in a future where machines would serve man. Thus cars were often depicted on greeting cards, especially at New Year. Although commercial cards were common, people often arranged for photographers to take bespoke greetings cards. Private photography was only for the rich, then, and people would often pop into studios or hire a professional to commemorate special occasions. 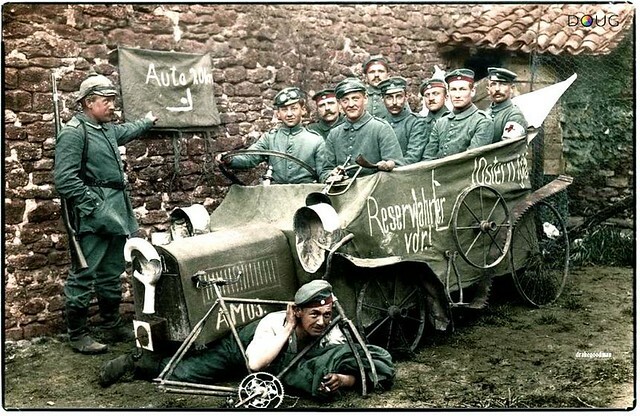 So when these soldiers, at the front somewhere in the 1914-1918 war, posed together in a car, they were having a joke Notice the "broken" bicycle. Most of their families and friends back home would not have owned cars, so the novelty would have been even more exciting then than it is now. The original was shot in colour, too, even more impressive ! Bělohlávek's Requiem was authentic Dvořák, sincere, honest and firm of purpose. Thus the quiet, understated introduction, from which the voices of singers rose in hushed tones: "Requiem aeternam", eternal rest. Large forces, yet great purity. Bělohlávek defined the underlying pulse - quiet but steady. The pulse grew stronger, and the pace, but still the textures were clear, the woodwind flourishes well defined against the solemn progressions. From this, Kateřina Kněžíková's soprano rang out beautifully, bright at first then descending to a rich, almost mezzo lustre, preparing us for the Dies Irae, where the pulse in the orchestra quickens and explodes in dramatic angular blocks. The voices of the choir took up the alarum before once again descending into silence. Requiems are, by nature, a series of set pieces, but Dvořák builds alternating contrasts so deftly into this work that the flow is almost seamless. The trumpets call ("Tuba mirum spargens sonum") bassoons adding depth, muffled drum strokes maintaining pulse.Soloists alternate with istruments: Catherine Wyn-Rogers. James Platt and Richard Samek, particularly impressive. From the tumult of the Days of Wrath to the purity of the Recordare, Jesu pie, where the voices of the four soloists intertwined. Many churches have traditions of part song. Platt, being a bass, not a baritone, sang with a gravity that reminded me of gospel styles in black communities. In 1890. Dvořák was yet to hear gospel music in America, but the rhythms of "Inter oves, locium pratesta" prepared him intuitively to respond. Yet Dvořák quickly returns to more conventional large-scale ensemble, with the Lacrimosa,which ended with dramatic flourish. In the Second Part, The BBC Symphony Chorus responded to the livelier writing with alacrity : nice interplay between women's voices and men's. Very punchy playing from the BBC SO. Yet again, Dvořák changes tack for contrast. In the Hostias, austere winds and bassoons alternated with voices, and the chorus were hushed again. The woodwind flourishes heard earlier return, garlanding the soprano. Amid the jubilation of the Sanctus, simplicity resurfaced when Samek sang the words "Benedictus", preparing the way for the short Pie Jesu, where the silence of "eternal rest" is gently remembered, evoked in the fragile but lovely flute figures. The steady pulse of the beginning returned like a heartbeat, but calmer now, in peace. The Agnus Dei, and the Requiem ended in translucent calm. Members booking has now started for the Three Choirs Festival, this year inn Worcester, in the heart of "Elgar Country". The first Cathedral concert on Saturday 22nd July will begin with Elgar (Great is the Lord), and there will be, as always, the Dream of Gerontius (Roderick Williams) but its highlight, conducted by Peter Nardone, should be Michael Tippett's A Child of Our Time, written in wartime, confronting violence, in the belief that good can vanquish evil. Benjamin Britten will be on the programme too (Four Sea Interludes) : not a composer normally connected with the Three Choirs, but included because the Festival reaches out to all. Fundamentally, the Three Choirs Festival is Christian Communion, though you certainly don't have to be Christian to be welcome, and this year's themes deal with issues of faith and hope in troubled times. Thus Mendelssohn St Paul on the evening of Sunday 23rd July, where the forces of the magnificent Three Choirs Festival Chorus will be heard in full, magnificent glory, with the Philharmonia Orchestra conducted by Geraint Bowen. In the days of the early Church, the faithful were oppressed. But Paul switched from persecutor to convert, remaining firm in his mission, even unto martyrdom. Bach's influence runs powerfully through this oratorio. There are wonderful chorales, ideally suited to the Chorus, and strong, dramatic parts for the soloists, all built on an austere bedrock that connects to the concept of a radical new faith whose adherents were prepared to die for what they believed in. Even more rough-hewn and almost savage, Janáček's Glagolitic Mass on Wednesday 26th July. In early Czech tradition, thousands of worshippers would gather together to sing in communal affirmation. Janáček, an atheist, who played organ in churches, aimed for something quite unorthodox. Thus his use of an old Slavonic dialect, rather than Latin. His passion for the outdoors inspires the piece. "My cathedral ", he said, was “the enormous grandeur of mountains beyond which stretched the open sky…...the scent of moist forests my incense”. I've written extensively about the Glagolitic Mass and its composer, please see HERE and HERE. 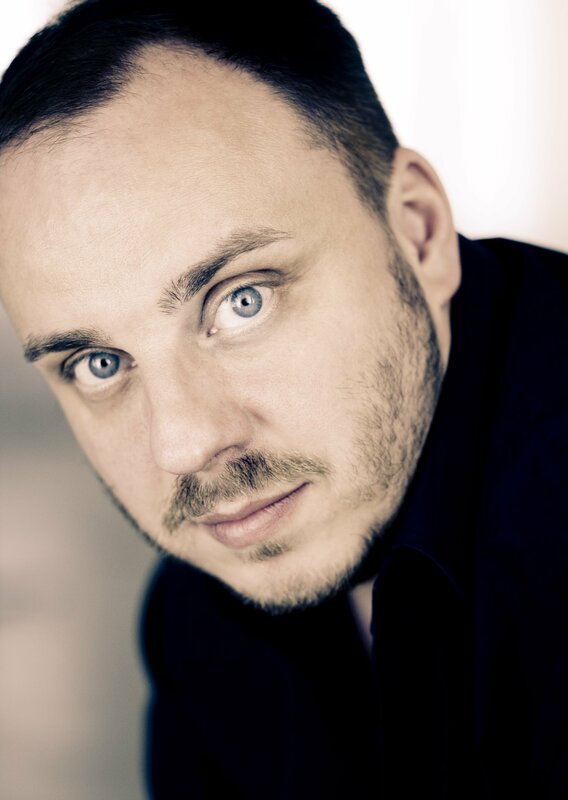 This evening's concert will also feature Torsten Rasch A Welsh Night and Richard Strauss Metamorphosen. "An English Farewell" for the final night of the season on 29th July, a superb programme with Gerald Finzi's Die Natalis with Ed Lyon, whom I should really like to hear in this piece as he's very impressive. Dies Natalis is transcendental, mystical and ecstatic by turns : utterly unique, and one of the quirkiest masterpieces in English music. Again, it's a piece I've written a lot about over the last 20 years. Please see HERE and HERE for example. Lots more on Finzi on this site, too. Dies Natalis addresses the miracle of birth, but Herbert Howells' Hymnus Paradisi addresses the horror that is death, particularly the death of a child. Heard together, Dies Natalis and Hymnus Paradisi should be quite an experience. One a star turn for a soloist, the other a star turn for choirs. Please read HERE what I've written about Hymnus Paradisi in the past. Also on the programme, Raloh Vaughan Williams's Serenande to Music, which will give sixteen singers a chance to shine. The Philharmionia will be conducted by Peter Nardone. But the Three Choirs festival is much more than big Cathedral concerts. Part of its appeal lies in the friendly, community atmosphere, where people come together for smaller-scale concerts, talks, events, excursions and meals. Literally, breaking bread and sharing in the spirit. Choral Evensong every evening, organ recitals (including Saint-Saëns Symphony no 3), early and Tudor music, premieres of new work, Shakespeare plays, a visit from the Choir of King's College Cambridge, and this year an unusual afternoon of Tudor Symphonies (with Andrew Carwood and the Cardinall's Musick). .Visit the Three Choirs Festival website for more. Ihr Veilchen, kränzt heut keine Lockenhaare! Da sollt ihr welken auf des Herrn Altare. O week ! Witness of the Passion of Christ, you seem so grim in joyful Springtime. The sun's rays awaken new growth, but you cast the shadow of the Cross over the earth as it warms. You cast a silent shroud while Spring renews life all round. 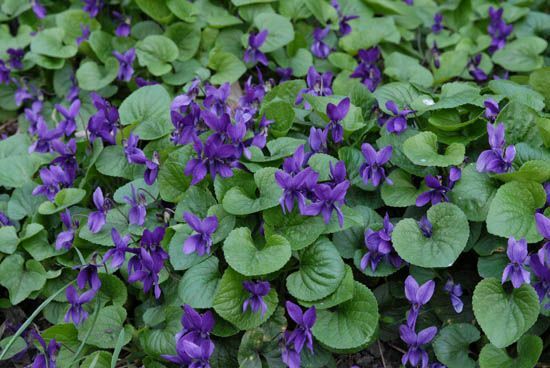 Sweet violets waft their scent under trees laden with blossom, while birds sing songs of jubilation. Be still, you birds of the verdant meadow. Heed the muffled church bells ring. Angels are singing songs of mourning Be still, you birds in the blue heavens ! Violets, don't display your lovely looks, or pious children will pick you for sorrowful wreaths. You'll then be brought to the house of the Mother of God, and wither on the altar of the Lord. And there, intoxicated with tearful melodies, and suffocated by the heavy perfume of incense, you will seek your bridegroom in the vaults of the tomb. Life, and Spring , all forsaken ! Mahler as dramatist! Mahler Symphony no 8 with Vladimir Jurowski and the London Philharmonic Orchestra at the Royal Festival Hall. Now we know why Mahler didn't write opera. His music is inherently theatrical, and his dramas lie not in narrative but in internal metaphysics. The Royal Festival Hall itself played a role, literally, since the singers moved round the performance space, making the music feel particularly fluid and dynamic. This was no ordinary concert. What it lacked in interpretive depth was made up for in being well performed, and more than compensated by the imaginative verve of the semi-staging and the way it highlighted structural ideas in this symphony. This juxtaposition of Tallis and Mahler came perhaps from the concept "Belief and Beyond Belief" the theme of the LPO's year-long series. By no means are all beliefs Christian. While the First Part of the symphony is shaped in the liturgy of the past, the Second Part, despite its references to saints, is secular, based on Goethe's Faust and on a highly unorthodox blend of lust, sin, death and redemption. Gretchen wasn't a virgin, yet Faust is saved by her intervention. Das Ewig-wiebliche, the "Eternal Feminine" for Mahler was entirely personal, and very much as odds with conventional morality. Thus the logic in this case of inserting an interval between the First and Second Parts of the symphony, which otherwise should be sacrilege. The two Parts of the symphony are meant to be played together without a break, since the slow, quiet beginning of the Second Part acts as an important transition, a kind of "Purgatory" between one plane and another. To split the two parts to make way for a drinks interval is musically inappropriate - Mammon polluting the Temple - the prerogative of philistines. But in this performance, the interval made sense, because it emphasized that the difference between the two parts represents a shift in metaphysics more profound than musical logic. Context is everything, and hopefully audiences will be sophisticated enough to realize that this exception should not become the rule. The name "Symphony of a Thousand" was not Mahler's idea, but a slogan created by the promoter of the premiere, who realized how the blockbuster aspects of the symphony could be marketed. Because of its sheer theatrical impact, this massive symphony will always be stunning. But as Mahler so explicitly states, the vast forces are bearers of "poetic thoughts", so powerful that they need ambitious expression. It's not spectacle for the sake of spectacle, not a circus for pulling stunts of sheer people management. While volume may be exciting, quantity most certainly is not more important than quality. Both times that I've heard Mahler's Eighth in the Royal Albert Hall, the results weren't convincing since the sound dissipated badly under the cavernous dome. The Royal Festival Hall seats 2900, so a thousand players would be deafening. Fortunately, Jurowski got around the problem by spreading the singers around the performance space, instead of concentrated in one focal point, deafening audience and orchestra. Sometimes the choirs ranged around the side galleries, where they were heard clearly and to full effect. Wonderful hushed singing, barely above whisper: in a symphony as big as this, that's something special. When the choirs were positioned behind the orchestra, they operated as individual units for the most part until the glorious finale. What a pleasure it was to hear each group distinctly, as opposed to hearing them blended en masse. Much respect for them, singing so well and so clearly, despite rushing about. Incidentally, positioning the choirs in the side galleries resembled the "horseshoe" formation adopted in some early music ensembles The soloists at first appeared in a line between orchestra and choirs. the "sweet spot" in the Royal Festival Hall acoustic. This lessened the strain : no-one forced to shout to be heard. In the Second Part, the soloists moved positions much more than they do normally. One expects the Mater Gloriosa to sing from on high like an angel, but the other singers moved around, too, especially the women, and Matthew Rose remained surrounded by the orchestra, his deep bass carrying well over the sounds around him. Choirs in motion, singers in motion, but not nearly as distracting as one might fear. The Second Part of this Symphony was inspired by art to which modern perspective did not apply. Thus figures float about disconnected to the landscapes behind them, as oddly as lions behaving like lambs. Similarly, Goethe's Faust depicts unnatural movement - flying through skies, ascension into heaven and so forth. The textures in Mahler's orchestration suggest multiple levels and layers and interesting combinations of instruments and voice. The symphony is constantly in motion. Throughout Mahler's Symphony no 8, images of light and illumination recur. In this performance, lighting effects (Chahine Yavroyan) were used to emphasize contrasts. Small lights, flickering above the music stands, helping the players follow the page while the hall was in darkness. Large spotlights , highlighting groups of choristers as they sang. The Royal Festival Hall organ, usually hidden behind a screen, was fully open, lit in rich shades of sapphire, alternating gold, and towards the end, silver and iridescence. The organist was James Sherlock. The presence of microphones in the hall suggested that a recording or broadcast may be available at some stage. All live performances have something extra: this Jurowski/LPO Mahler Symphony no 8 was unique, an experience never to forget. Soloists were : Judith Howarth, Anne Schwanewilms, Sofia Fomina, Michaela Selinger, Patricia Bardon, Barry Banks, Stephen Gadd and Matthew Rose. Choirs were the London Philharmonic Choir, the London Symphony Chorus, the Choir of Clare College, Cambridge and the Tiffin Boys' Choir. Vladimir Jurowski conducts Mahler Symphony no 8 with the LPO at the Royal Festival Hall. READ MY REVIEW HERE. Time to reflect on M8's past! Organizing the logistics of performance are daunting, so Mahler 8s don't come along as often as other symphonies, but live M8s are by no means rare. Indeed there was a Mahler 8 at the Royal Festival Hall only two years ago, with Esa-Pekka Salonen conducting the Philharmonia. For some reason that concert wasn't as heavily promoted as the Jurowski concert has been this time round. "South Bank Mahler" is a strange beast, conjured up by hype and the South Bank management's downgrading of serious music - even their website's a nightmare to navigate. That might fit in with the dumbing down of government arts policy, but it isn't necessarily a good thing, because it creates false expectations. Mahler's 8th has been cursed from birth by false assumptions that it should be a "Symphony of a Thousand", that quantity is better than quality, that volume matters more than art. In any case, the Royal Festival Hall couldn't physically accommodate 1000 musicians or everyone's hearing would be damaged. .
Two years ago, Esa-Pekka Salonen and the Philharmonia did M8 in the RFH. I wasn't convinced that some in the audience were really listening since there were problems with one of the choirs and some of the soloists. What a relief it was when Salonen and the Philharmonia got to the long, hushed section at the beginning of the Second Part! Holding the vast forces of M8 together is a challenge. Twice, I've heard performances go awry because the choirs came apart. Once, the First Violin saved the day, leading the orchestra while the conductor (Daniele Gatti) brought the choirs back in line. Even Bernard Haitink had problems, in the notorious performance where Dame Gywneth Jones's voice cracked and then went progressively into meltdown. No one's fault! Jones was the diva of her day, and very, very good. She struggled on until the end and probably has never lived that down. I've also been to a M8 where the choirs were astonishingly good, compensating for a non-idiomatic orchestra (oddly, the same band that did so well for Salonen). That was at the Three Choirs Festival last year in Gloucester Cathedral. The choirs at Three Choirs are a phenomenom, arguably the best large-scale choral ensemble in the world. They sing together, and in their own Cathedrals all year round, and inherit a tradition of excellence that goes back 300 years. No way is there any comparison with other choirs, no matter how good. That M8 was truly memorable. Read more about it HERE. Another interesting thing about Mahler 8 is that it is not operatic, though it employs multiple voices. The various "names" don't sing "parts" or really interact. Mahler, and Goethe before him, were inspired by medieval paintings where modern perspective doesn't apply. Exquisitely detailed figures stand proud of one-dimensional landscapes. They don't interact, like roles in an opera. Mahler's Eight is a symphony, employing voices to extend the instrumental palette. The structure is bizarre, but that, too, reflects the idea of unworldly non-realism. Good music should stretch the soul, always opening out new possibilities. Otherwise why listen? Even when you're listening to a recording, when the sound is fixed, you yourself are different to what you were the last time you heard it. Revelatory isn't a word to be used lightly, but the two most revelatory performances I've ever heard expanded my understanding of the music, the composer and of myself. Of all the many M8s Ive heard, these two stand out. Both are game changers, so might come as a shock to anyone who thinks they know everything there is to know. But these two are immensely rewarding, for they engage with the spirit of creative illumination that runs so powerfully through this symphony. Light, illumination, the coming down of divine wisdom through creative growth. Pierre Boulez, with the Staatskapelle Berlin at the Philharmonie, Berlin. Prof Henry-Louis de La Grange was in the audience, and wrote the notes to the recording, made a few days later at the Marienkirche. Read more about that performance HERE. Riccardo Chailly, with the Lucerne Festival Orchestra. The M8 that Claudio Abbado never got to conduct. The more I listened to it, it felt like a mystical experience of great emotional depth. Truly in line with the "Poetic thoughts" which Mahler was referring to. Read more about that performance HERE. 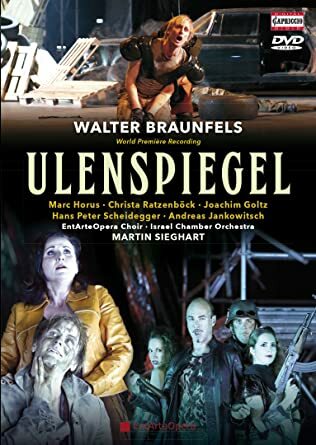 For the first time on DVD, Walter Braunfels' opera Ulenspiegel is now available. Braunfels's op 23 received its premiere in Stuttgart in November 1913. Two world wars intervened. Braunfels's Ulenspiegel was not performed again until 2011, as part of the Gera Festival. An audio recording is available of that performance, conducted by Jens Tröster. This new DVD comes from the Linz Festival in 2014, and is conducted by Martin Sieghart, known for his recordings with the Bruckner Orchester Linz. Braunfels' Ulenspiegel is based on Uilenspiegel and Lamme Goedzak, by Charles de Coster (1867), which Braunfels would have known in the German translation published in 1910. Coster was a child when Belgium became independent from the northern Netherlands. Coster understood the tensions that led to the 1830 revolution. Coster's Ulenspiegel does not follow the Ulenspiegel of medieval tradition, popular throughout northern central Europe. Instead, Coster quite pointedly turns Ulenspiegel into a hero of the Dutch wars of independence from Spain, and pits Ulenspiegel against the Duke of Alba, whose draconian policies of suppression inflamed revolt. As a French speaker and a Catholic, Coster would have been well aware of the irony. In the 17th century, the Dutch fought off Counter-Reformatioin Spain. In 1830, Dutch Protestants opposed Belgian (and Catholic) freedom. This background is fundamental to understanding the opera. Braunfels knew Richard Strauss Till Eulenspiegels lustige Streiche (1895). Like Coster before him, Braunfels' Ulenspiegel was a completely different personality, clothed in medieval disguise. The "merry pranks" here have purpose. Even at this early period in Braunfels' career, the underlying rationale behind his music is clear. All his life, Braunfels opposed militarism and fascism. This is vital to the interpretation of his music. His lush orchestrations are not in the least "romantic" in Hollywood terms. Rather, Braunfels is a Romantic in the true spirit of the revolution which transformed European culture, forging individualism and self-determination. Ulenspiegel escapes prison but there's no happy ending. The Linz production of Braunfels' Ulenspiegel took place in the Tabakfabrik, a disused factory. Hence the post-industrial set. Ulenspiegel and his friends are underclass. The caravan they live in reminds us that mobility, physical ot social, is denied to the "peasants" of modern society. There is nothing pretty about situations where the privileged can exploit the gullible with promises of Heaven, bought through Indulgences. If the performance space is bleak, it fits meaning. Moreover, the Israel Chamber Orchestra are visible at all times, reminding us that opera is theatre, and music is art. The version of the score used here is an arrangement for chamber orchestra by Werner Steinmetz (2014) which makes performance more practical and requires a smaller chorus. The essentials are retained. If anything, the percussion sounds even more hollow and ominous echoing in the open space of the Tabakfabrik, and the winds sound haunting. Though textures are less rich, they feel hardier - more "Dutch" than "Spanish". Although the EntArte Opera Choir sing well, the relatively small ensemble doesn't quite give the impact of a vast force in uproar. On the other hand, the focus is greater on individual parts. Marc Horus sings Ulenspiegel, capturing the prankster's rebellious spirit. When Ulenspiegel's energies are channelled purposefully, he becomes a genuine hero, rather than fool as hero. On film, we can also focus on detail. Close-ups are rewarding. Ulenspiegel's father, Klas, sung by Hans Peter Scheidegger, is vividly characterized, though the role is killed off fairly early in the plot. Christa Ratzenböck sings a strong Nele, Ulenspiegel's foster sister and lover. This DVD is welcome, but you do also need the Tröster.CD version from 2011 for the full score. Neither performance is ideal, so I hope the opera gets done again soon, with better resources and an understanding of Braunfels' idiom, on the level of Lothar Zagrosek's Die Vögel, (1997) so outstanding that all others pale before it. Ulenspiegel is a good opera, but what we really need is a decent recording of Der Traum ein Leben which was done in Bonn not long ago. the only recording on the market is so badly recorded that it's unlistenable.